In 1904, Theodore Adam Witzel, founded the Rite-Away Fountain Pen Company which manufactured fountain pens and the ink. 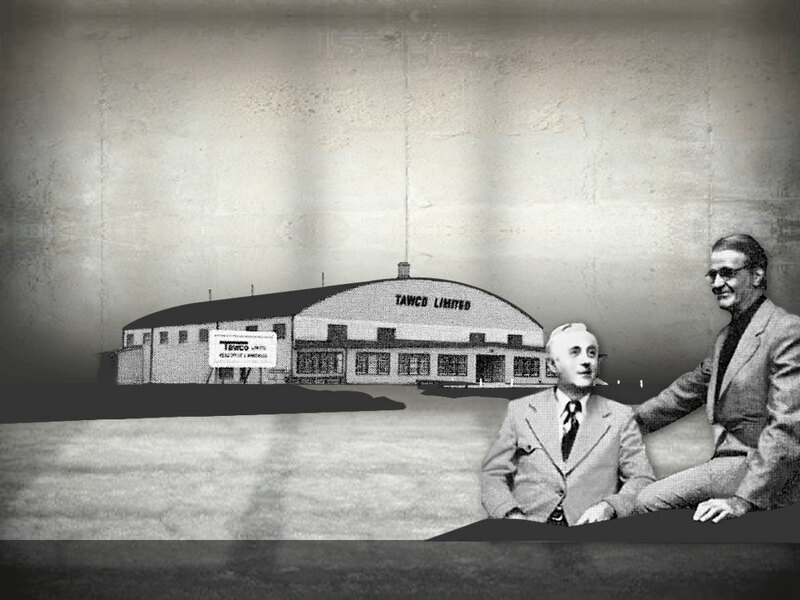 The manufacturing plant was located at the corner of King and Water Streets in Berlin, Ontario. In 1906, the Company ceased making fountain pens and ink and became the first in Canada to manufacture and sell hand vacuum sweepers and electric vacuum cleaners under the trade names of Onward and Triumph. The Witzel family has long been associated with manufacturing and distribution and in 1908, the Company, renamed Onward Manufacturing Company Limited, also began to manufacture "The Sliding Furniture Shoe". These furniture shoes, an alternative for the old fashioned castor, were made with glass or steel bottoms for easy sliding. 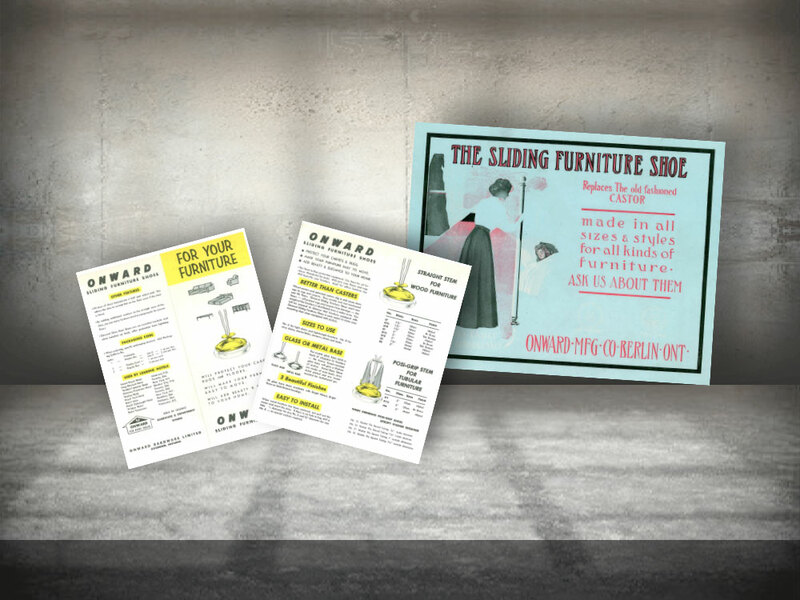 The Company was named, with permission, after a company in Menasha, Wisconsin that also manufactured sliding furniture shoes. Other items manufactured at this time included trunk and suitcase hardware and Peerless steam cookers. The vacuum cleaner market was expanding and in 1909, Theodore Adam Witzel obtained the exclusive rights in the British Empire for the manufacturing and selling of Eureka electric vacuum cleaners and a second company, The Eureka Vacuum Cleaner Company, was established. 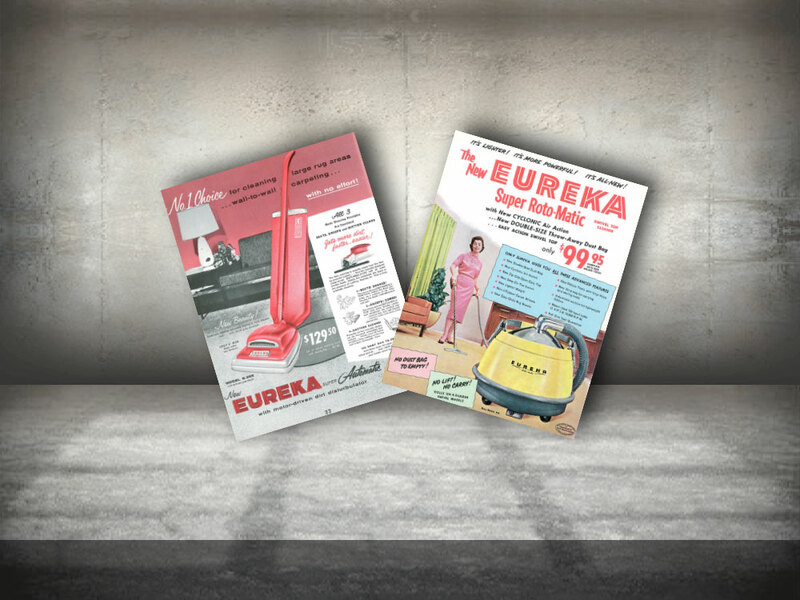 Distribution and Eureka retail stores were developed across Canada to sell Eureka electric vacuum cleaners, Domestic vacuum sweepers and Eden electric washing and wringing machines. One of the retail branch stores was located at No. 8 Temperance St. in Toronto. In 1914, the plant was located at 1027 King Street East in Kitchener. in 1924, the businesses known as Onward Manufacturing Company Limited and Eureka Vacuum Cleaner Company were amalgamated under the name Onward Manufacturing Company Limited. The mandate of the business expanded to also include a general metal stamping business, warehousing and operation of retail stores. 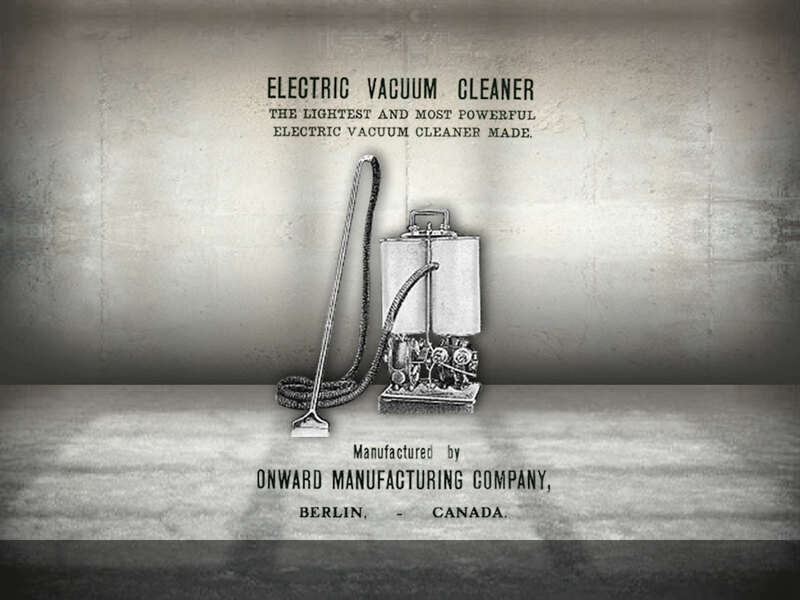 Eureka vacuum cleaners were manufactured in Detroit by the U.S. Eureka Vacuum Cleaner Company and “Onward” focused on distributing the product throughout Canada. 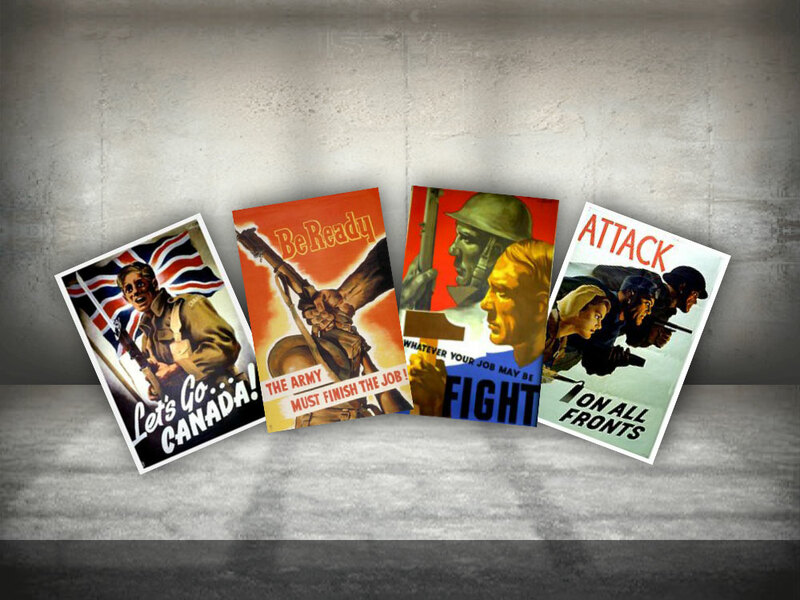 During the Second World War, most of the regular activities of the business were suspended as the Company was called upon to produce tools, dies and parts for planes, ammunition boxes, tanks and mines. After the war, the Company resumed selling vacuum cleaners nationwide through dealers. 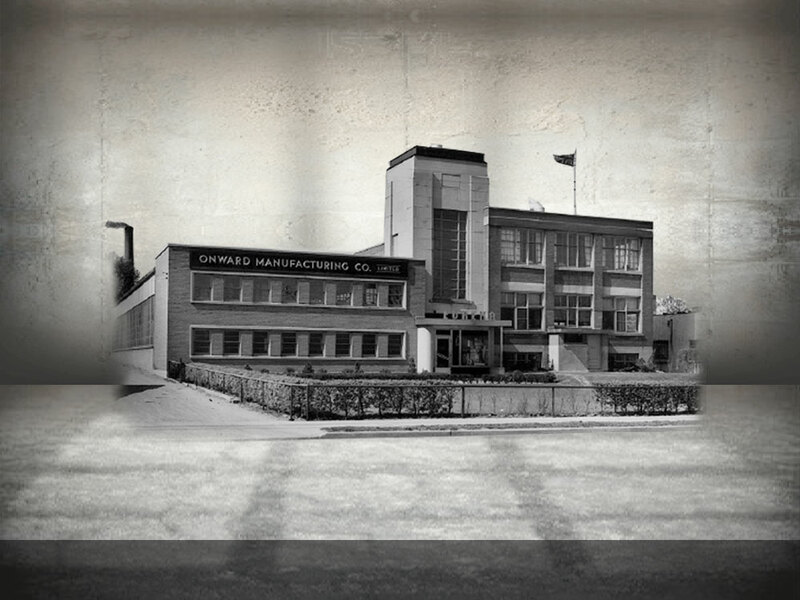 The manufacturing of cabinet and utility hardware was added to the Company operations in 1946. The Company continued its growth and expansion particularly in the area of home appliance distribution. Between 1949 and 1960, The Company introduced to Ontario, Speed Queen washers and dryers, Emerson and Motorola electronic products, Gibson home appliances and to Canada, Jenn-Air cooking equipment, Sub-Zero refrigerators, Deep Freeze refrigerators and freezers, Weber grills and the Panasonic line of electronics. 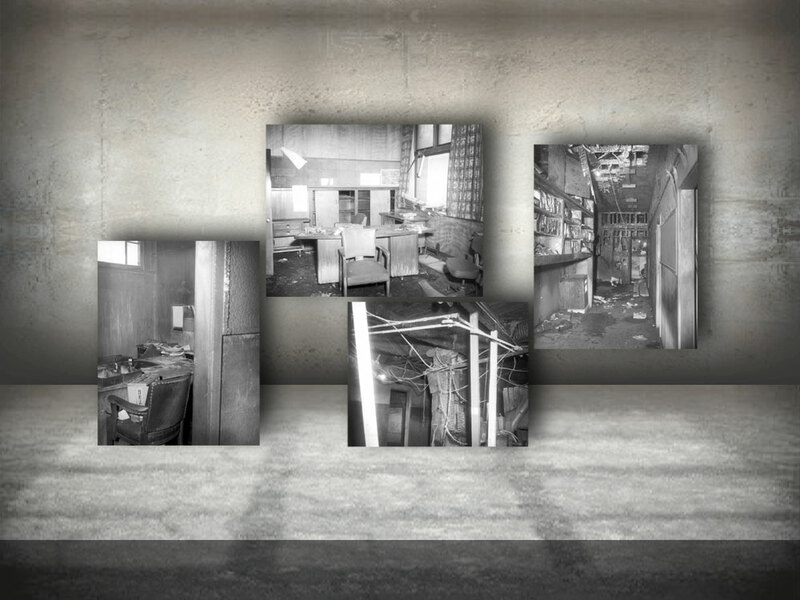 A fire destroyed the offices and some of the manufacturing area of the Company premises at 1027 King Street East in 1964. Manufacturing of hardware resumed at this location and the offices were temporarily moved to 932 Victoria Street North in Kitchener while 1027 King Street East was renovated. In 1965, a separate company, Onward Hardware Limited, was formed to oversee the hardware manufacturing and distribution division. 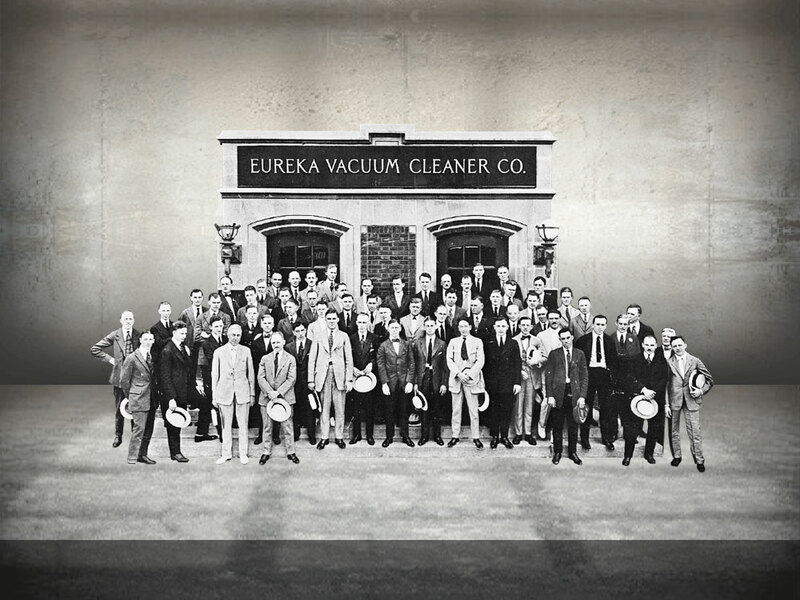 In 1966, National Union Electric Corporation of Stamford, Connecticut purchased 80% of the Eureka vacuum cleaner and appliance distribution division as well as the name Onward Manufacturing Company Limited. T.A. Witzel, remained President of Onward Manufacturing Limited until his resignation in 1974. He retained ownership of Onward Hardware Limited for the manufacturing and selling of cabinet and general hardware and developed another company known as Tawco Limited for commercial cleaning equipment distribution, developing and franchising coin operated laundry and dry cleaning stores. 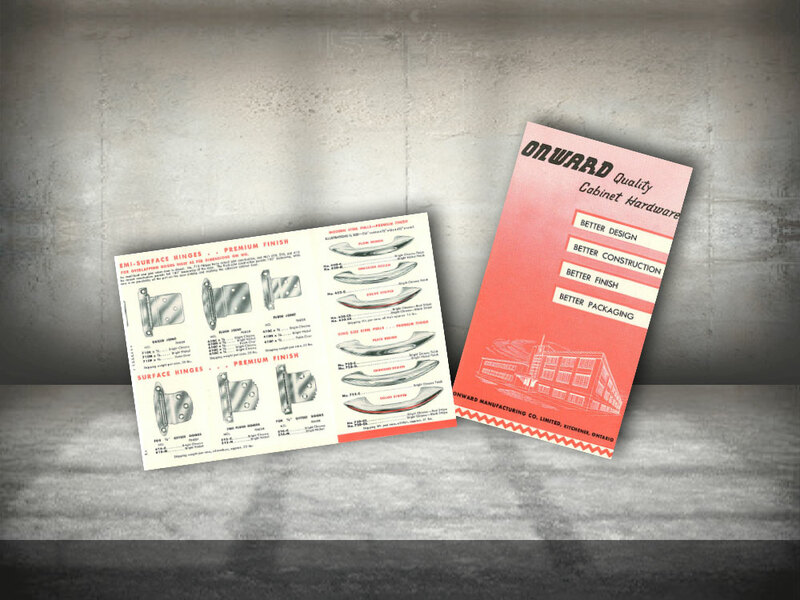 In 1979, Onward Hardware began to manufacture fireplace inserts and charcoal water smokers. As well, an appliance retail division (now known as TA Appliance Warehouse) commenced operations at 932 Victoria Street North, Kitchener. An appliance retail division (now known as TA Appliance Warehouse) commenced operations at 932 Victoria Street North, Kitchener. 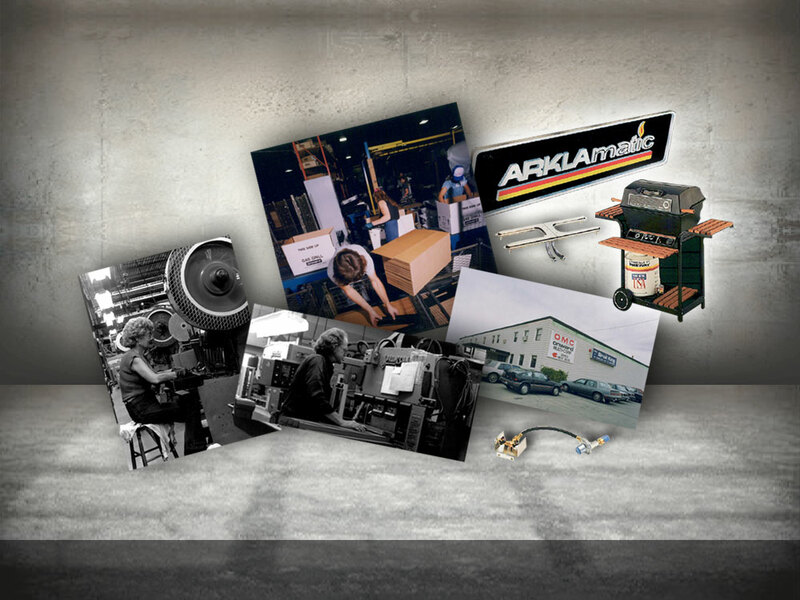 In 1984, the company began the contract manufacturing of Arkla outdoor gas grills. 1986 - The Company is renamed Onward Multi-Corp. 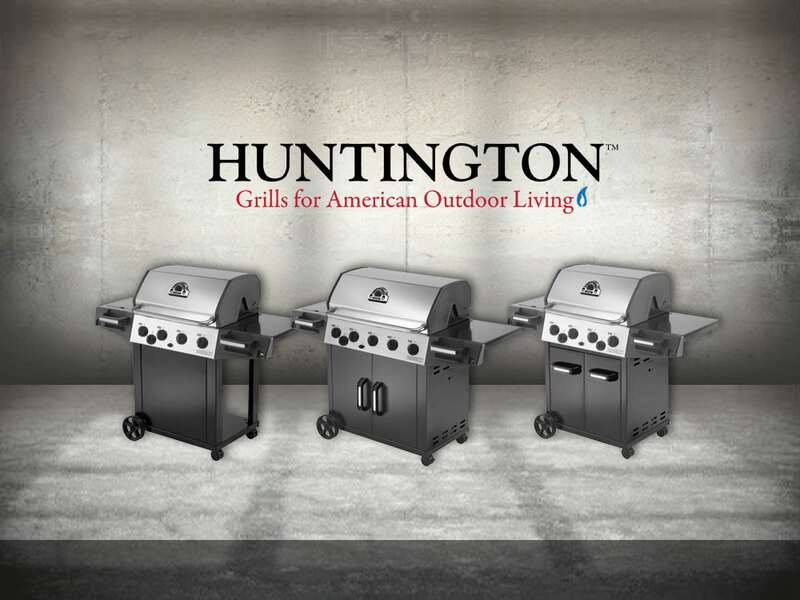 In 1986 the assets of the Jacuzzi gas grill division was purchased. Jacuzzi designs were the basis for the Broil King line of gas grills. At this point the company was renamed Onward Multi-Corp Inc (OMC). 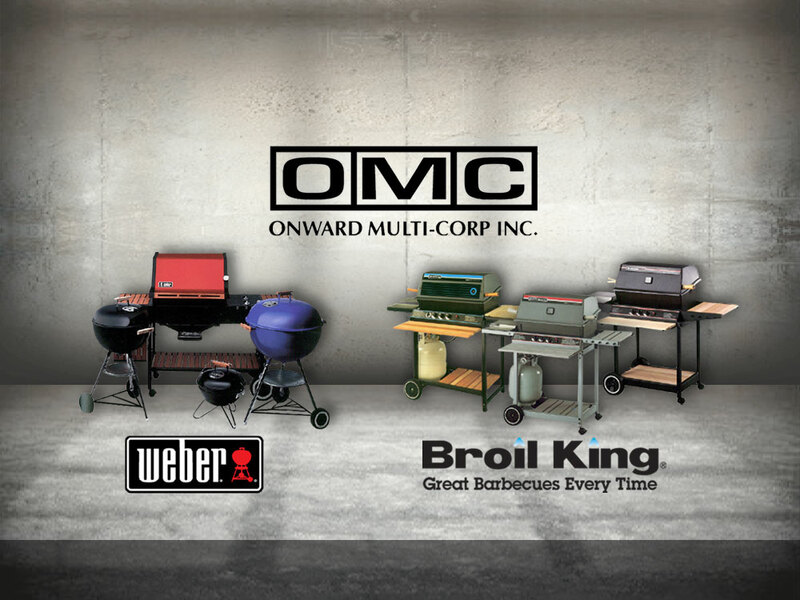 Around this same time, OMC was appointed sole Canadian distributor of Weber-Stephen Products line of Weber charcoal and gas grills. 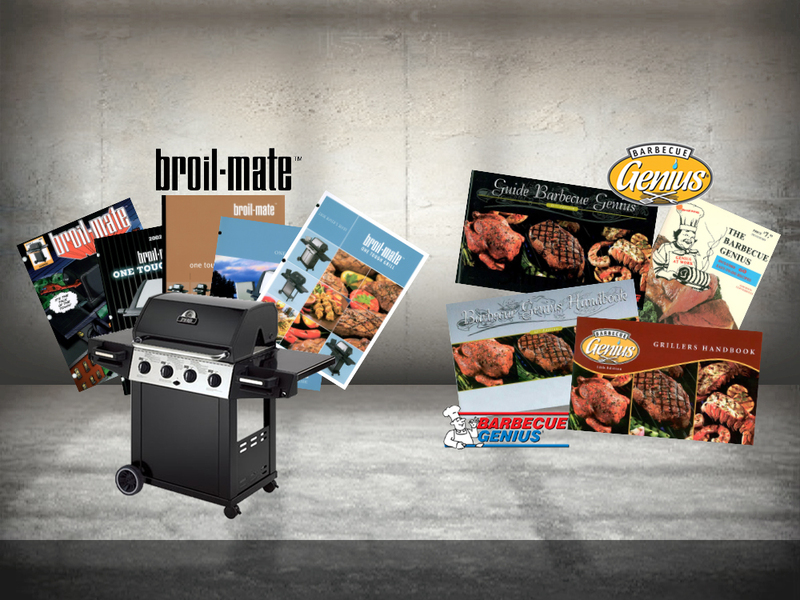 In 1989, Onward purchased the tooling for the Wait Broil Master and Broil-Mate gas grill lines plus the West Bend Anova gas grill line. In the late '80s, the 1st edition of the Barbecue Genius Handbook was published and a complete line of Barbecue Genius grilling accessories was born. The Handbook (now in its 16th edition) has become a benchmark for grilling recipes with millions of copies in circulation. 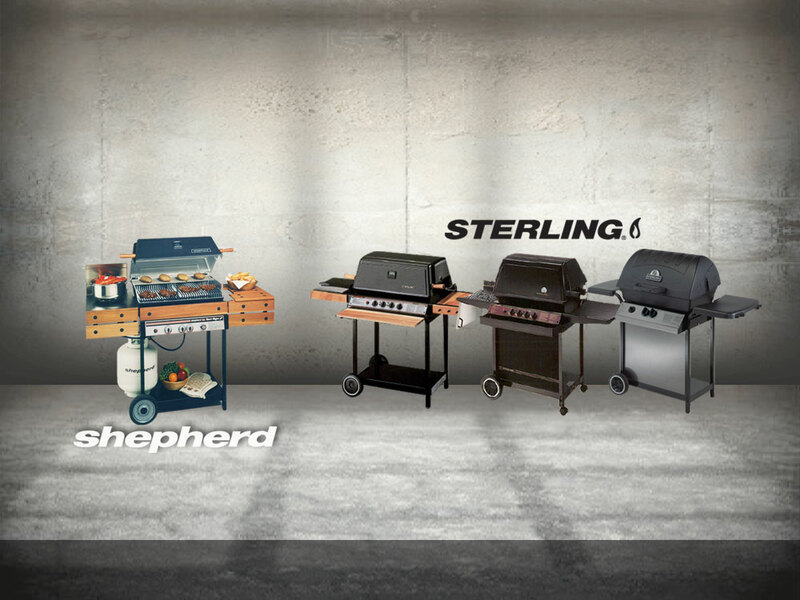 In 1990, OMC purchased the Shepherd gas grills division, which is now sold under the name Sterling. In 1995, T.A. Witzel Sr. passed away and the company is now owned and managed by his 3 sons. 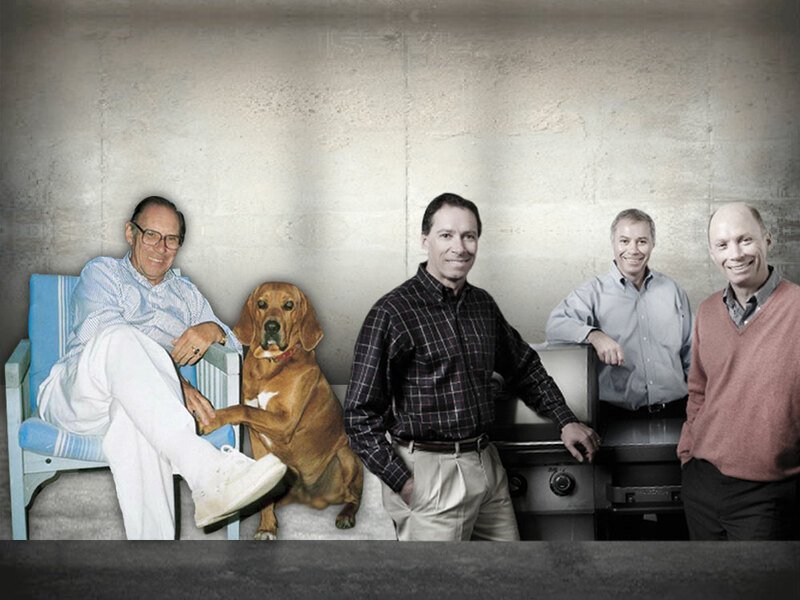 In 1996, the barbecue division, outgrowing its manufacturing facilities on Victoria Street North in Kitchener, was moved to a new manufacturing facility located at 585 Kumpf Drive in Waterloo. The George Cluthé Manufacturing Co. was purchased for the manufacturing of screwdrivers, tool boxes, furniture glides, funnels and oilers. 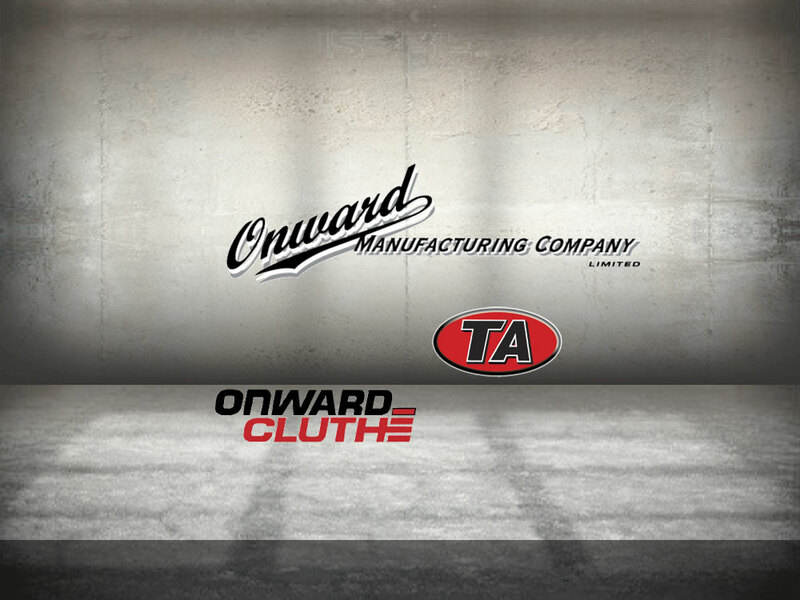 The operation of Cluthé Products was merged with the Onward Hardware Division which served the hardware industry with cabinet and general hardware. In 2000, three separate companies were created under the ownership of Onward Multi-Corp Inc. The barbecue division adopted the original name Onward Manufacturing Company Limited, the hardware and injection molding division became Onward Cluthé Hardware Products Inc., and the retail appliance division became TA Appliance Inc. 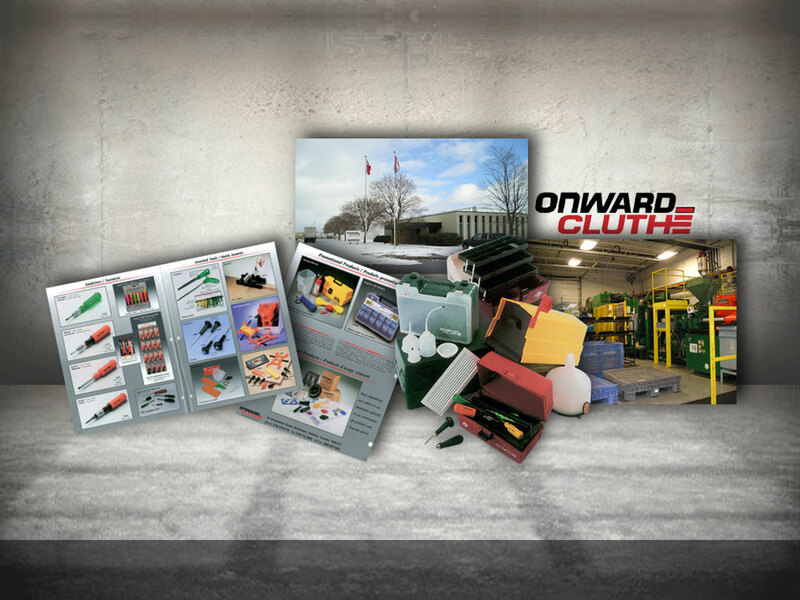 In 2001, the hardware portion of Onward Cluthé Hardware Products Inc. was sold to Richelieu Hardware of Montreal to allow the Companies to focus on growing the gas barbecue, injection molding and appliance businesses. 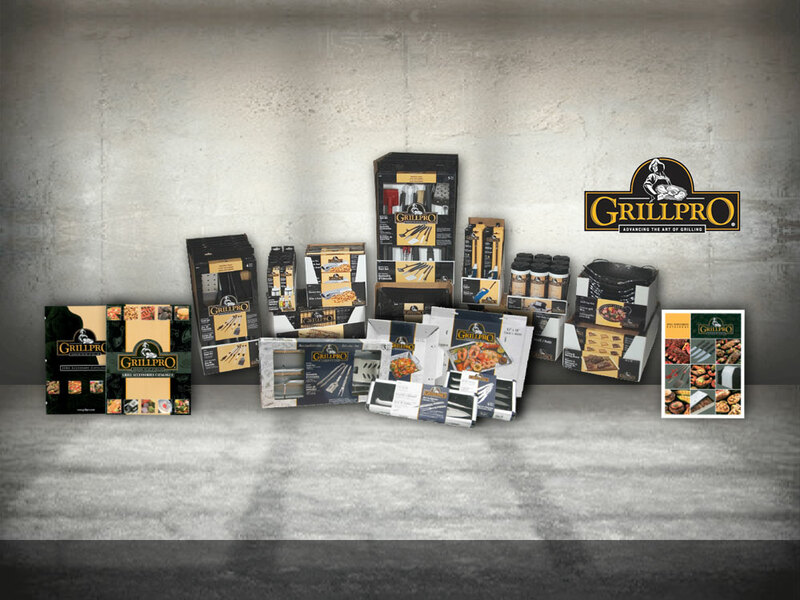 Onward Manufacturing expanded its barbecue accessory program in 2002 with the purchase of the GrillPro assets of Inmar Industries Inc. 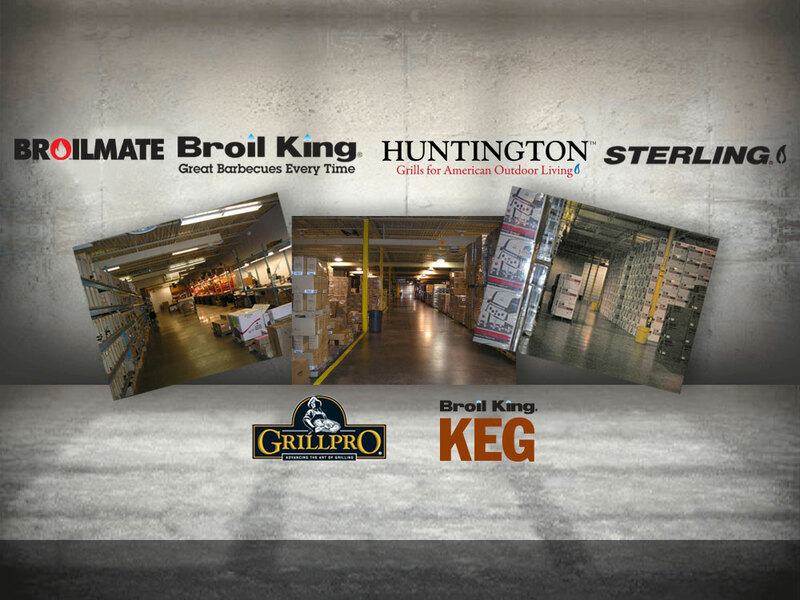 In 2006, a further investment was made with the acquisition of the CFM Keanall barbecue parts and accessory business. 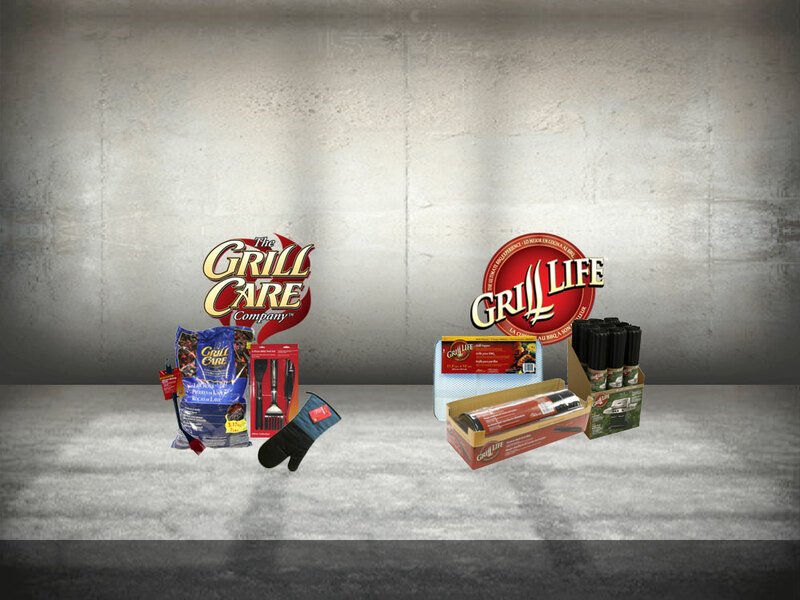 This included the Grill Life and Grill Care brands. This positioned Onward Manufacturing as the leading source of high quality and innovative barbecue parts and outdoor cooking accessories. In 2007, Onward Manufacturing opened an office in Zuhai, China, performing design, engineering, quality assurance and procurement functions. 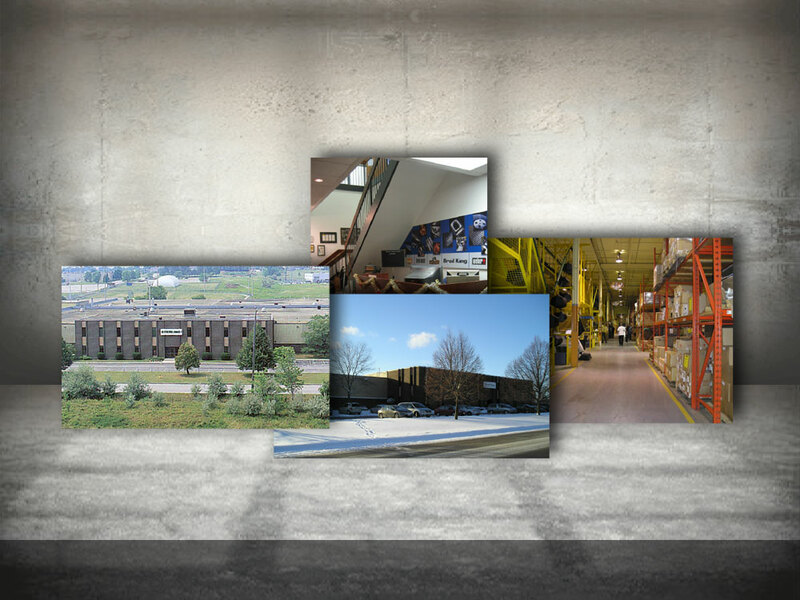 In 2009, Onward Manufacturing acquired a manufacturing and distribution facility in Huntington, Indiana. A number of models from there are currently being manufactured in this facility. 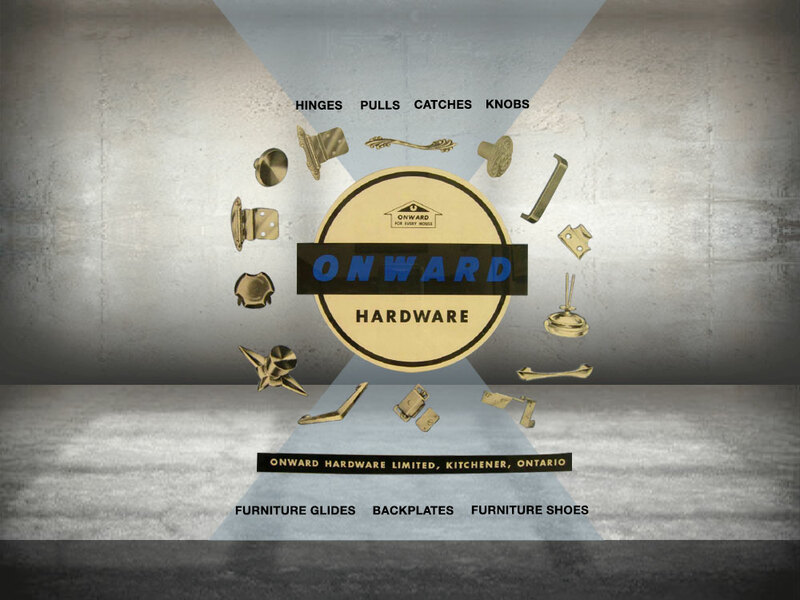 Onward Cluthé Hardware Products continues to manufacture injection molded products for the DIY hardware trade and services Onward Manufacturing and many others as a custom injection molder. 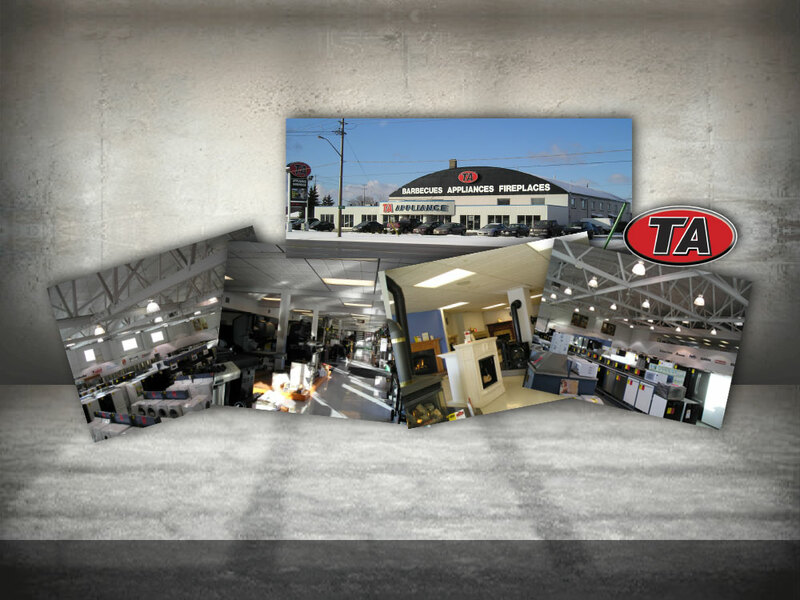 TA Appliance Inc, with 3 locations, is the leading appliance, fireplace and barbecue retailer in Kitchener-Waterloo, Barrie and Brantford. Its commercial division distributes commercial laundry equipment throughout Ontario and Michigan. 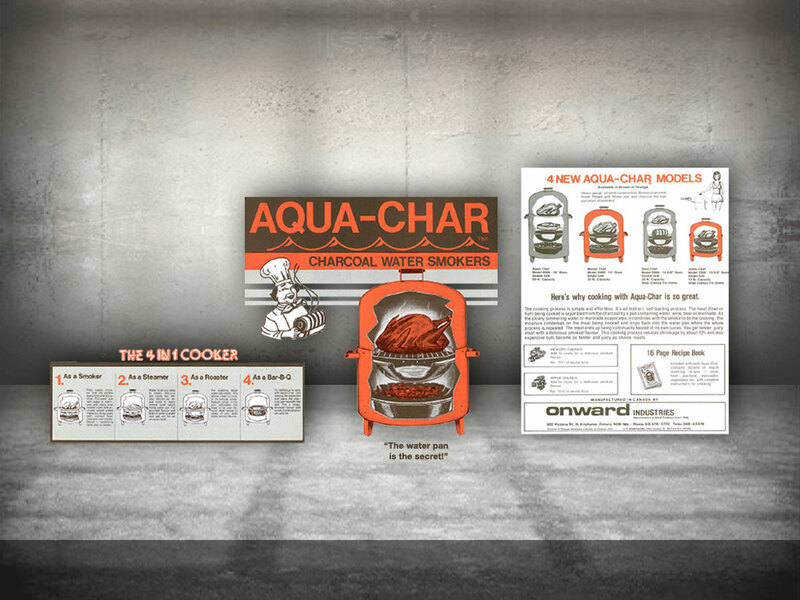 Onward Manufacturing manufactures and distributes gas and charcoal grills, as well as barbecue parts and accessories throughout Canada, the USA and around the world under the brands Broil King®, Huntington™, Broil-Mate™, Sterling®, Broil King® Keg, Barbecue Genius® and GrillPro®.